Step 2 – On the membership page, select your membership and get the trading room password for that membership. Step 3 – Click on the Trading Room Login button at the top of the page. 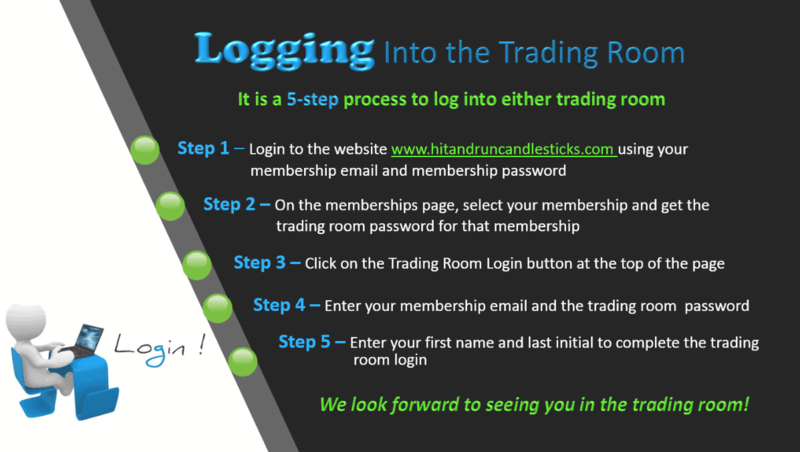 Step 4 – Enter your membership email and the trading room password. Step 5 – Enter your first name and last initial to complete the trading room login. ►Please keep in mind Your Website Password never changes. Only the password to the trading room changes monthly. Write down your Website Password and store it in a safe place so you never have to miss a minute of the action.